Carly and Hank’s big day will be held at the Canyon Gate Country Club, which has a luxurious golf course with green grass for miles, flowers, ponds and waterfalls. 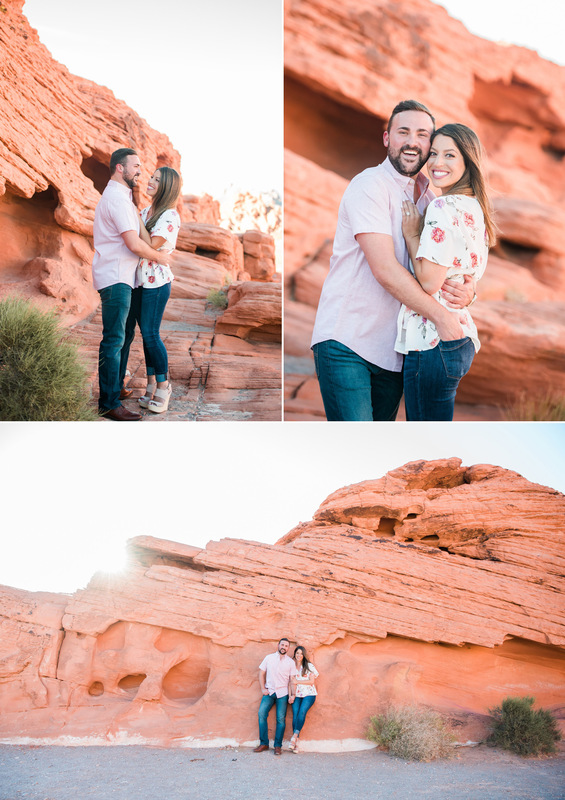 Since their wedding will be on such a lush property, they wanted their engagement session to reflect the other side of Las Vegas: our beautiful, vast desert landscape. Valley of Fire State Park is a little know gem about 1.5 hours outside of the Strip. It has some of the reddest rocks I’ve ever seen and the most amazing carved rock features. Valley of Fire is perfect for those couples that really want to showcase the gorgeous natural side of our city and the beauty of the southwest. I really can’t wait to photograph these two beautiful souls again this summer!